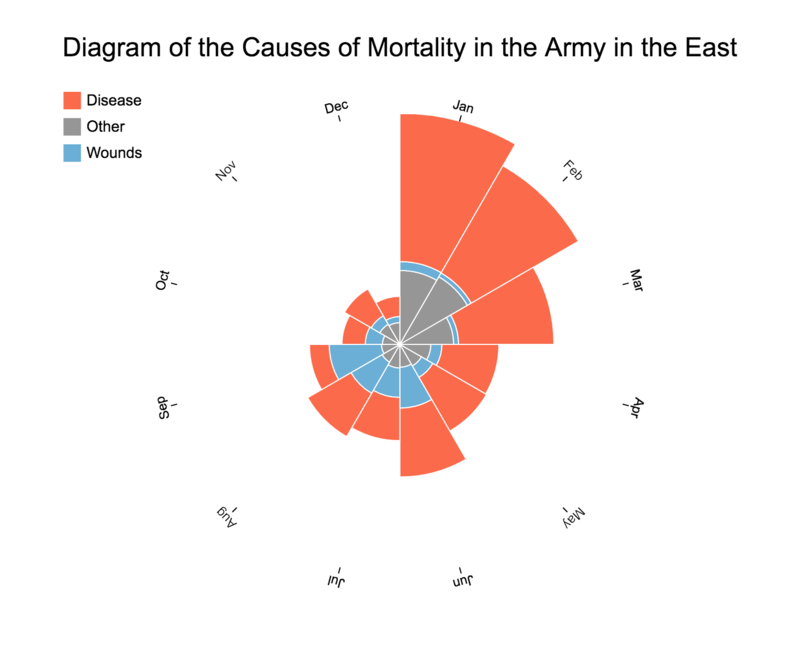 A reproduction of Florence Nightingale’s rose chart. Nightingale, F., Farr, W., & Smith, A. (1859). A contribution to the sanitary history of the British army during the late war with Russia. John W. Parker and Son.